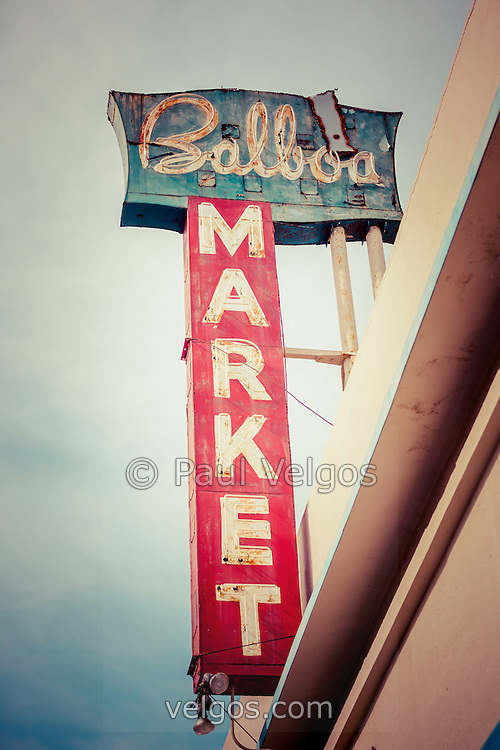 Photo of Balboa Market sign in Newport Beach on Balboa Peninsula. Located at 608 E. Balboa Blvd., Newport Beach, CA 92661, the store was built in 1938 and served as a grocery store for the small community of Balboa California. Balboa Market was torn down in October 2010 and the land is now used for a parking lot. Newport Beach is a wealthy beach community along the Pacific Ocean in Orange County Southern California.